So our last review of 2016 is here and we have the Large Hard Rifle Case from Nuprol! 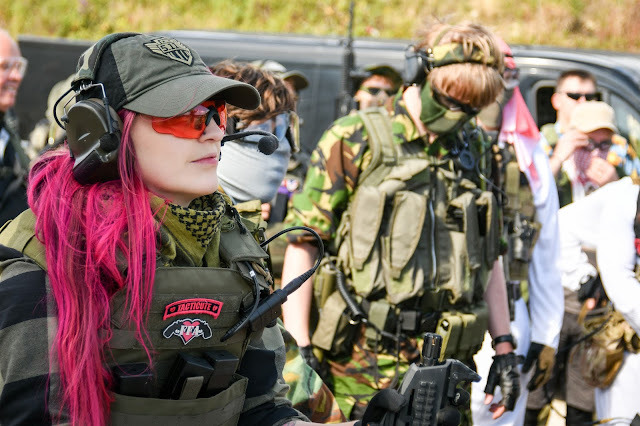 The team at Nuprol kindly supplied FFA with a green hard case at our 2nd birthday skirmish in November to keep all our custom RIFs in and we have finally given it a good few outings so let's get into the review! 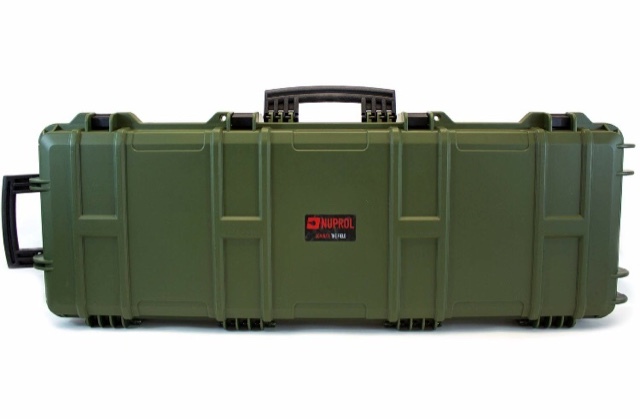 The Nuprol Large Hard Case is exactly what it says on the tin - a large, hard rifle case designed to carry (or store) and transport Airsoft guns to and from games safely. Now there are a lot of hard cases on the market, so really, what makes this special? Well, I think personally what makes this particular product a notable one is the value for money you get - the Nuprol team have packed a tonne of higher end features into a unit costing a budget friendly £59.99. Now I've paid a lot more for a lot less in weapon cases so for me the price point is spot on. Let's have a look at the features of the case! 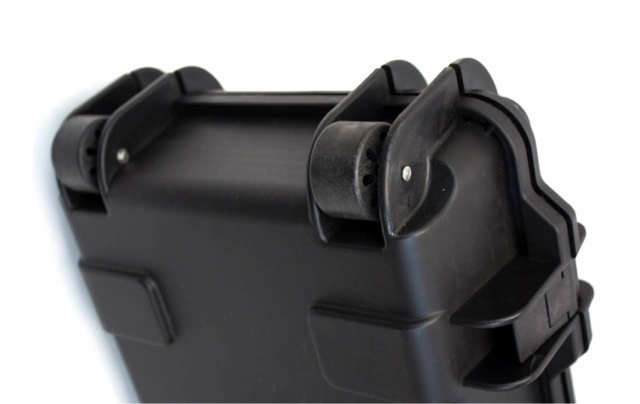 It comes in 3 colours - Green, Black and Tan, it weighs just 2.5kg, has 4 easy to close latches to keep it securely closed and 2 padlock holes on the front edge to allow the weapon to be locked up - perfect for travelling. The case also has an IP67 waterproof rating which is pretty handy when travelling to games on rainy days (Scotland :P). With Dimensions of 103x33x15cm externally and 98x29x12.5cm internally it's also a pretty sizable case - I managed to fit both my G&G CM16 SRL and the G&G RK74-T in at the same time. 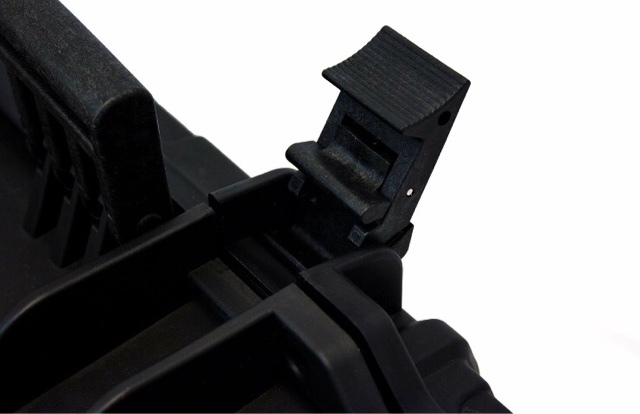 Both the top and bottom pieces have a thick foam insert to hold the rifles in place securely when the case is closed. The foam doesn't feel cheap and springs back to its original shape once the RIF has been removed from the case. 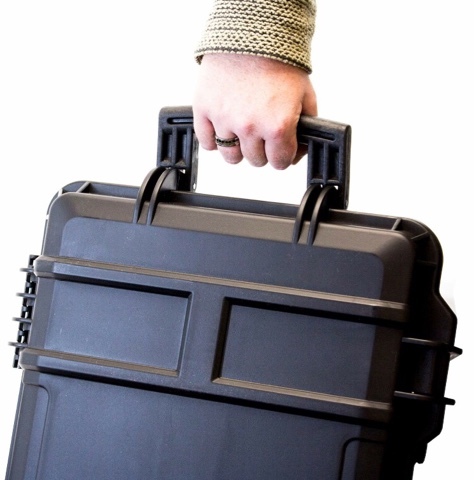 The case also features a carry handle on the side and one on the top to make transporting the case as easy as possible. I really like how ergonomic the handles are, even when the case is weighed down by heavy RIFs the handles don't cut into your hand and they feel pretty robust - there is no sign of them failing during transport . The dual handles also in my opinion set off the look of the case. Lastly, the most important feature of the case is, its wheels! Yep, you read that correctly, that is my favourite aspect of the case. There are currently no other cases on the market with wheels for such a low price. 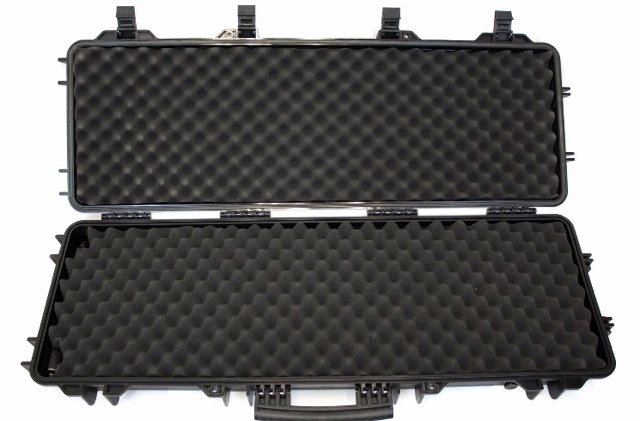 For those who can't afford the big name brands such a Peli etc these cases are a great solution to storing and transporting Airsoft weapons.